Poet, singer and songwriter Théophile-Jules-Henri Marzials was born at Bagnères de Bigorre, Hautes Pyrénées, on 20 December 1850. His father Antoine-Théophile Marzials was a Huguenot pastor. In 1857 the family settled in London, at no. 2 Brunswick Row, Bloomsbury, on the appointment of Antoine-Théophile as pastor of the French Protestant church at St Martin’s-le-Grand. Having Anglicised his Christian names as Theophilus Julian Henry, young Marzials joined the staff of the British Museum in September 1870. He resigned for health reasons in November 1882. 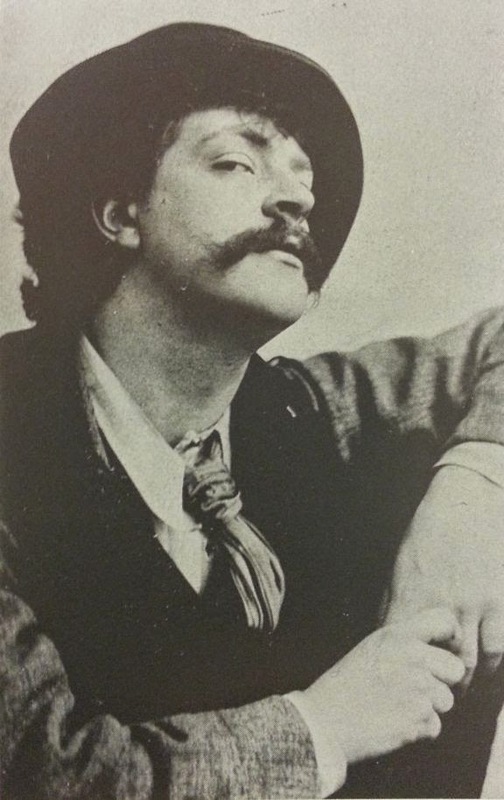 Marzials found great success with songs like ‘Twickenham Ferry’ (1878); a setting of Christina Rossetti’s ‘My Love is Come’; and an English version of ‘A Summer Night’ (1881) by Arthur Goring Thomas, for whose opera Esmeralda (1883) he and Alberto Randegger provided the libretto. Marzials was a friend of Edmund Gosse and Dante Gabriel Rossetti, at whose house in Cheyne Walk he sang. He gained Swinburne’s permission to set some of his poems to music, including ‘Ask Nothing More of Me, Sweet’, which became a popular ballad of the 1880s. Altogether Marzials published more than eighty songs. 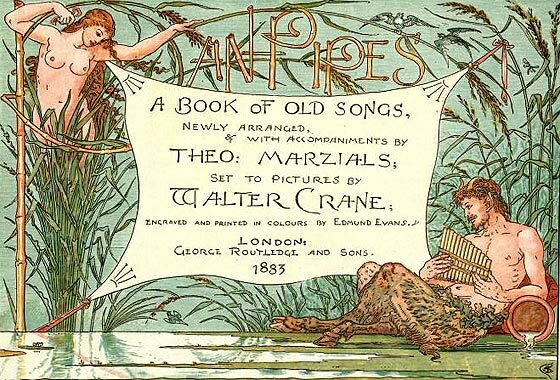 His Pan Pipes (1883), settings of Elizabethan and seventeenth-century songs, contained coloured illustrations by Walter Crane. In 1894 he participated in the festivities at Old Compton Street to mark the first number of The Yellow Book, which published poems by him in volumes three and seven. He spent his later days in Colyton, Devon, where he died in February 1920.